 Iran, Sept. 15, 2018 - The Australian Committee of Supporters of Democracy in Iran issued a letter to their Foreign Minister condemning the Iranian regime’s execution of three Kurdish political prisoners and the Revolutionary Guards’ (IRGC) missile attack against Iraq-based Kurdish dissident groups. This committee called on Australia’s top diplomat, the government of Australia and the United Nations Security Council to condemn these measures by Tehran’s mullahs. The ruthless execution of three Kurdish political prisoners, Ramin Hossein Panahi, Loghman and Zaniar Moradi, and the criminal missile attack targeting Iranian Kurdish dissident groups in Iraq continue to be the subject of new attacks by Iranians throughout the country. A group of rug makers, metallurgy experts in Tehran, teachers and retired individuals in Markazi Province, university professors, industrial workshop owners in Karaj, a group of school teachers in Sistan & Baluchistan Province, teachers in Kerman Province, currency exchange store-owners in Tehran’s bazaar all signed statements and letters to various international organizations and the United Nations Secretary-General demanding the UN Security Council to evaluate the Iranian regime’s human rights violations dossier. These entities described the executions and missile attack as more examples of the mullahs’ barbarism and neglect to international law and basic human rights principles, and a ruthless massacre, adding it is necessary for the UN Security Council to see into this dire matter. These statements & letters express their sympathy with the family and friends of those who have lost their lives for freedom in Iran. Following the general strike in Iran’s Kurdistan regions protesting the execution of three Kurdish political prisoners, the family of Ramin Hossein Panahi expressed their gratitude for all those who took part in this protest movement.